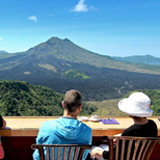 NANA BALI TOUR is an online Bali Tour Company that is located in Bali that offers many tour packages and gives a wonderful experience during your stay in Bali. 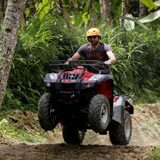 We are able to offer you a very cheap and competitive price because we have a very good relationship with many tour operators in Bali. 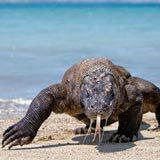 As we are online travel agency in Bali, we know there are also many tour companies that serve cheap package tour price on their website, cheap price is not the only guarantee. 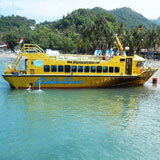 So, hopefully, you do not choose a wrong travel agency to organize your holiday in Bali. Giving you a very competitive price is our priority without reducing the quality of our service. Because our tasks are to give you best service, reasonable price, help you during your stay in Bali to make your fabulous holiday in Bali. All inquiries should be sent to our online reservation or inquiry form. We will follow up your inquiry as soon as possible or will inform you if we need time for response. For all bookings and trip, rates are referred to our written confirmation. To secure the booking, we will need a deposit/full payment by Bank transfer or PayPal will be applicable. Our latest confirmation email would be able to claim as a booking confirmation. 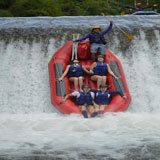 NANA BALI TOUR provide options for you to make transactions with us and one of the easiest ways is PayPal. Payment via PayPal is the payment through online where you can use your credit card, travel checks or money transfer. The payment through Paypal is the payment can be done quickly, secure, easily, efficiently, whenever and wherever you want. A deposit or full prepayment is needed to secure the booking. Payment can be done by PayPal account in USD with tax 4,5%. If you have landed in Bali, the cash payment can be accepted either in US$ and Rupiah or others currency base on update exchange rate. To avoid any risk during the tour, it’s suggested that participants have their own insurance, which should cover medical, surgical, dental, and other additional expenses, baggage, loss of money, personal accident, and personal liability. 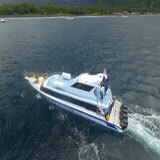 All reservations should be made 1 day in advance for tours in Bali and 3 Days in advance for tours beyond Bali. The reservation confirmation depends on the availability. We highly suggest you read cancellation conditions before finalizing your reservation. 30% cancellation fee after you have made a deal. 50% cancellation fee, if you cancel the tour 1 day before and 100% cancellation fee or no refund if you cancel the tour on the day. 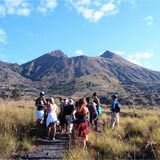 All the tour programs of Bali, Komodo, Jogjakarta, and Lombok are packaged and base on individual arrangements. For all sightseeing and tour packages are included except personal expenses, flight ticket airport tax, laundry, and tipping. Please advise us in advance if there any request for the flight ticket. All of the tour prices are the net price (NO HIDDEN CHARGE) per person in IDR/EUR/USD. 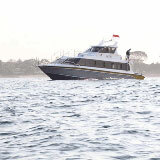 NANA BALI TOUR will do the best for you. However, we don't take any responsibility if there any loss, damaged, injured and any other things that might be happened beyond the trips programs. Also, we do not take any responsibility for any additional expenses that might be caused by an extraordinary situation beyond our control. Many thanks in advance for your understanding and hope you will have a good time with our arrangement.